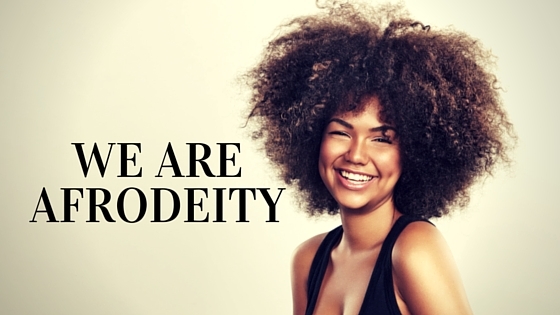 The timeless saying that ‘hair is a woman's beauty' still holds true even today and that is why so many women do not mind spending hundreds of dollars at the salon for beautiful hair. 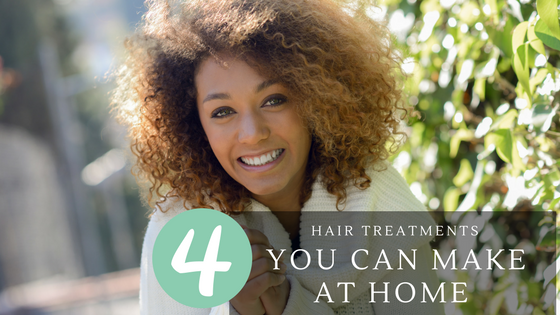 But did you know that you can save a lot of cash by treating your hair at home? Using natural products is definitely the way to go for beautiful hair and its inexpensive too! We're now in the winter season and dry hair and frizziness is a major battle for women of all ethnicity and ages. Here are four excellent hair treatments you can make at home to beautify and keep your hair in tiptop shape while you wait out the winter cold. 1/2 Avocado, 2 tbsp Argan oil, 10 drops of Rosemary essential oil and one tbsp of Apple cider vinegar and blend together for about two minutes. Massage the mask through your hair from roots to tip and cover hair with a heat cap for 15 minutes. You then rinse and cleanse with shampoo. Do this remedy at least once per month and watch your dry hair come to life. Air pollution and styling products can leave a heavy film on hair and scalp that saps moisture and dulls shine. Dairy products such as yogurt and sour cream can help to repair this damage. The lactic acid gently strips away the dirt while the milk fat provides the moisture. You will need to massage 1/2 cup of sour cream or yogurt to damp hair and let it set for 20 minutes. You then rinse with warm water and then cool water. Then shampoo your hair. Apply this treatment to hair every two weeks. Flaky scalps can be brought on by a lot of issues such as poor diet, stress and climate along with other factors. You can fight this condition by adding a lemon juice and olive oil mixture to your hair. The lemon is acidic so it helps to lift loose dead flakes from the scalp. The olive oil then moisturizes the newly exposed skin on your head. You will need to mix two tbsp of olive oil, two tbsp of lemon juice and two tbsp of water and massage into damp hair. Keep in hair for 20 minutes then rinse out and shampoo as normal. Apply twice per month. To add body to limp lifeless hair you can use a surprising beverage...beer! It has an abundance of yeast and this helps to thicken dull tired tresses. Mix half cup of stale beer with 1 tsp of canola oil and a raw egg. Apply to clean damp hair and set for 15 minutes. Rinse with cool water. You will be surprised at how quickly your hair will thicken up. Home remedies for hair have survived the test of time and have proven to be as effective as salon treatments except they are not pumped with chemicals and parabens. Save money from natural home remedies today. What Is So Special About Coconut Oil Anyway? We all know coconut oil can help you cook up a storm in the kitchen…but did you know that it's benefits span way beyond making food delicious? Lush, shiny, healthy, manageable and beautiful hair can be yours when you add coconut oil to your hair regimen! This oil is so incredible that you can clear out all your commercial conditioners and styling products and replace them with this all-in-one hair care solution. It is rich in anti-microbial properties, lauric acid and fatty acid that strengthens hair, conditions scalp and regrows lost hair! Rich in vitamins and minerals this oil alone can have your hair looking fantastic. These are the top three benefits of coconut oil for your hair. This awesome gift from nature is free of scary chemicals that are found in commercial hair products. It is an excellent conditioner for all hair types! It was recently discovered that coconut oil is the only oil that reduces protein loss and far outperforms sunflower oil and mineral oil. Protein loss in hair is the major cause of breakage and hair loss so you can imagine how coconut oil will transform your tresses! The lauric acid found in coconut oil is so lightweight that it penetrates the hair shaft and supply it with vitamins, minerals and essential fatty acids. Though conditioning it helps to prevent damage from combing and brushing and is safe enough to even be used on babies. Using coconut oil as a conditioner is great and a little goes a long way. If you have thinning hair then coconut oil is a safe, effective and reasonably priced solution for you. It will help you to grow your hair longer and thicker while improving the overall health of your hair. Before you look to prescription medication for your thinning hair just give coconut oil a try. These medications for thinning hair only work for 50% of individuals anyway. You need to adjust your diet and use coconut oil for styling and conditioning and you will be completely amazed. Coconut oil has been effectively used for decades to fight off dandruff. We all know how unsightly, itchy and annoying this condition can be and it can be caused by a number of factors. These may include dry skin, sensitivity to harsh chemicals and yeast-like fungal infections. Coconut oil has antiviral, anti-microbial and anti-fungal properties to attack the fungus in your scalp. Topical application of coconut oil will make a world of difference. Add to hair regimen! Many commercial hair products contain chemicals, parabens and harsh sulfates that do more harm than good. On top of it all they are expensive! 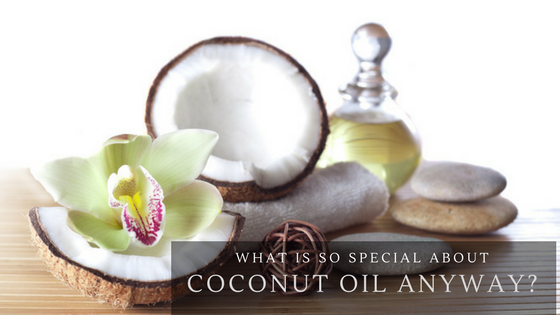 You need to trust and believe in one of nature's best gifts to us and that is coconut oil. You should never underestimate its capabilities as they go way beyond hair, skin and cooking delicious meals. You should put coconut oil to the test when all else has failed.